Google Chrome comes with a handy password manager already built in. You can have your browser save and fill out passwords for different sites when you’re asked to sign in. Here’s how to manage all your saved passwords in Chrome. 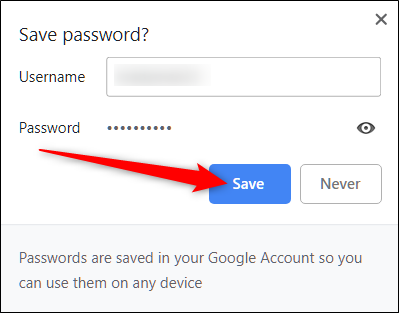 The first thing you need to manage your saved passwords is to make sure the password saving is enabled, which is done through the passwords menu. Click on your profile picture in the top right corner and then click on “Passwords.” You can also type chrome://settings/passwords into the Omnibox and hit Enter. Toggle the switch labeled “Offer to Save Passwords” to the on position (it should be on by default). Now, head to a website where you need to log in, fill in your credentials, and sign in. After the form submits, Chrome asks if you want to save your password. Click “Save.” If you click “Never,” the site gets added to a “Never Saved” passwords list. We’ll show you how to remove a site from the “Never Saved” list down below. Assuming you saved the password, the next time you go to that site’s sign in page, Chrome fills in the sign-in form automatically. 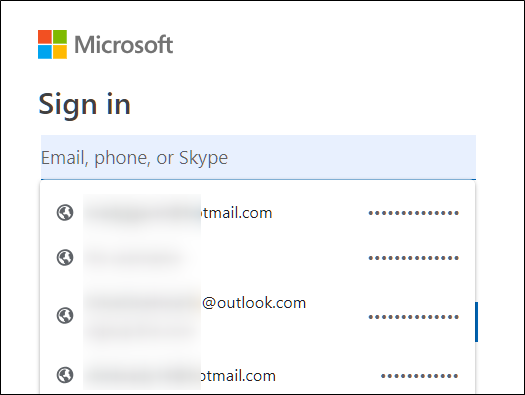 If you have more than one username and password saved for any single site, click the field and choose which sign-in info you want to use. If you accidentally clicked “Never” when Chrome asks if you want to save your password to a site, here’s how you can remove that site from the exceptions list. When you remove a site, the next time you sign in, you’re given the option to save your password. 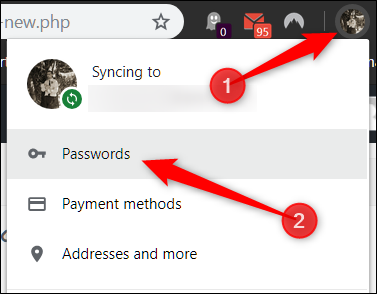 Open up the passwords menu by clicking your profile picture in the top right corner, then click again on “Passwords.” You can also type chrome://settings/passwords into the Omnibox and hit Enter. Scroll down to the bottom until you see the heading “Never Saved.” This is a complete record of all the sites you’ve blacklisted from Chrome’s saved passwords list. Scroll through the sites until you find the entry you accidentally sent to this list in the first place, then click the X to the right of the URL.